STOCKBRIDGE, Mass. — Value, fun-to-drive, and high content rank near the top of the automotive public-relations lexicon. Throw in “re-configurability,” appeals to active life styles, bumper-to-bumper warranty, and a recent favorite, surprise and delight features, and you’re on your way to press kit heaven. But you also could be describing Hyundai’s Elantra GT; and it might be the automotive bargain of the year. Hyundai’s value-for-your-buck equation isn’t a secret anymore, but for enthusiasts on a budget, this five-door hatchback has to rank number one. The $13,999 base price includes air conditioning, leather seats, side airbags, power mirrors and windows, CD player, keyless entry, etc. Based on that value equation alone, anyone looking for economical transportation would be foolish not to check it out. It’s when you add ride and handling to all that standard equipment that the Elantra GT really stands out. That toss-ability is thanks to a “sport-tuned” or “European-tuned” suspension (take your pick, Hyundai uses them interchangeably), and the Tiburon’s tire and wheel combination. Hyundai engineers have become pretty clever with suspension tuning and the Elantra GT’s taut handling is proof. Compared to its sibling, the GLS sedan, the GT gets larger stabilizer bars front and rear, firmer shocks all around, and less boost to the power steering. As good as the steering is, it’s the standard 15-inch alloys wearing 195/60 Michelin MXV4 Plus tires that get the job done. Hyundai understood what Mitsubishi failed to with its new Lancer ¾ good tires and wheels make a world of difference. Driving on New York’s Columbia County Route 7A with no other traffic as an impediment, all those differences could be felt and tossing the Elantra GT around was the order of the morning. Of our 350-mile drive home from the Berkshires, this was the most fun. Any back road with curves, dips and hills between the straight-aways will call to you to test the GT’s limit. Of course it’s not a Porsche Boxster or even a VW Jetta, but for a lot less money, you can still have a very enjoyable driving experience. There’s just enough understeer to remind you not to do anything stupid, but it’s doubtful you’ve ever driven a car anywhere close to this price that you could push this hard. Of course with “just” 140 horsepower and 133 pound-feet of torque you won’t outrun the Boxsters and BMWs, but you’ll also fill up a lot less. 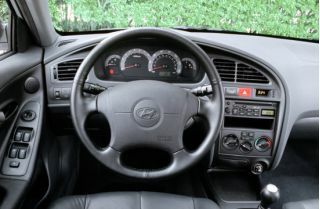 Besides the two figures above, the Elantra’s 2.0-liter, dual-overhead-cam four also delivers fuel economy of 25 city and 33 highway when mated to the manual, 24/33 with the automatic. On our varied mix of back roads, Interstates and multi-lane streets in urban shopping areas, we managed over 35 miles-to-the-gallon of regular. 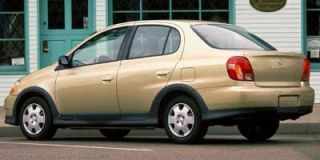 Unchanged since its introduction in the 2000 model year, the aluminum-head “Beta” engine remains one of the most responsive four-cylinders out there. 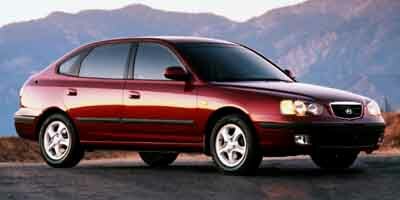 Speaking of model years, the Elantra was an all-new car for 2001. 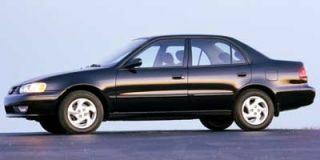 The GLS four-door went on sale in the U.S. in October 2000, while it and the GT went on sale in Europe a few months previous. 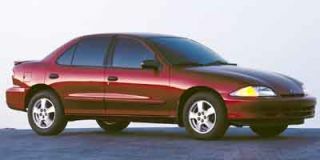 A few GTs found their way to U.S. dealerships this summer as 2001.5 vehicles. 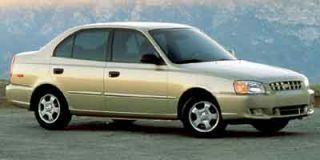 But as of October, these completely unchanged cars are considered 2002s. Pricing and options are a tad convoluted as well. Destination charges add $495 to the bargain $13,999 base price. 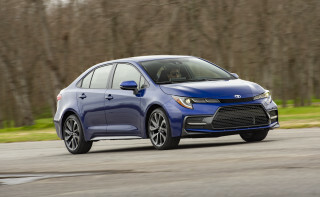 The only glaring non-standard feature is anti-lock brakes with integral traction control. But the only way to get it is as a package with a moon roof and sunshade, all for $1,175. Yet you can get the moon roof/sunshade as a stand-alone $650 option! Go figure. Mike Anson can’t; “that’s just the way they make them,” he laments. The only other stand-alone options are carpeted floor mats ($78) and a rear cargo cover ($38). 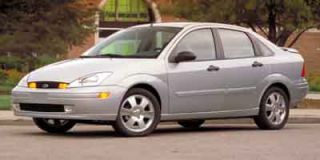 It’s instructive that we’ve yet to mention Hyundai’s super warranty, five years/60,000 miles bumper-to-bumper, and 10 years/100,000 miles powertrain for original owners. It’s a bonus at this point, certainly not the sole reason to buy. 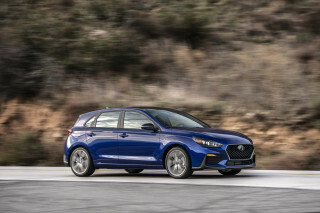 Plus with the GT, Hyundai joins Kia, Lexus, Mazda and Ford in offering a five-door, a body-style that’s been resurrected for U.S. consumers as a sport-ute alternative. 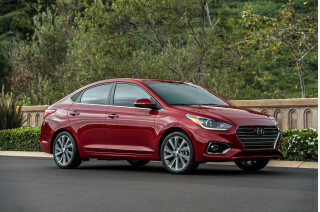 Hyundai predicts that GTs will constitute 15 percent of Elantra sales. That may be conservative. This one could be a real winner. Stay tuned.